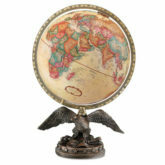 The Livingston features a 12" blue ocean, raised relief, illuminated globe ball. 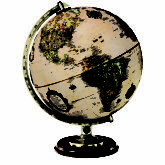 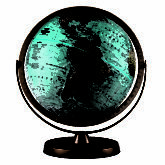 The revolutionary twoway globe provides a standard view of the physical world or an illuminated display of the political world. 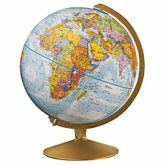 The globe sits on a traditional hardwood base with die cast semimeridian.